Texas executed its sixth death row inmate of the year on Wednesday, a San Antonio man who was convicted of fatally shooting a police officer with his own gun 14 years ago, the Associated Press reported. The US Supreme Court refused to review the case in November and there were no last-day appeals. Manuel Garza Jr., 35, was executed by lethal injection on Wednesday for the murder of San Antonio Police officer John “Rocky” Riojas in February 2001. He was pronounced dead after 26 minutes. Garza was a career criminal beginning at the age of 14, with burglaries and thefts on his record, as well as an escape from custody and a police car chase involving a stolen vehicle. At 20, he was stopped by Officer Riojas as part of an investigation into property crimes at apartment complexes. Garza ran off and a struggle ensued. Garza grabbed the officer’s gun and Riojas was fatally shot in the head. Riojas was caught a day later. His defense attorney said Garza had suffered from childhood neglect and abuse, and his family had encouraged him to break the law. Garza was executed with a new supply of pentobarbital, which had been running low before Texas obtained a fresh supply. Two other executions are scheduled for this month. Texas carries out more executions than any other state. After this month’s execution, however, the state will have exhausted its supply of pentobarbital. The chemical is getting scarce as drug manufacturers are under growing pressure from death penalty opponents to withhold their products if they are to be used in capital punishment. Texas has three executions planned for next month. Other states, like Oklahoma, have resorted to experimental protocols after similar supply problems. States have faced lawsuits and botched lethal injections have placed the legality of the process into question. 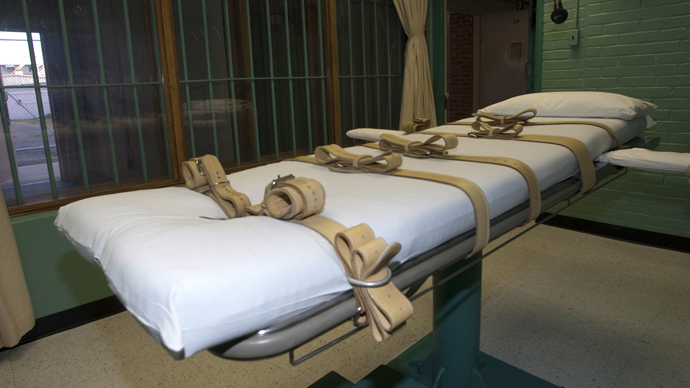 Seeking alternatives, Oklahoma lawmakers have moved forward on measures to allow for executions via nitrogen gas, while Utah recently became the only state to approve of firing squads carrying out the death penalty.